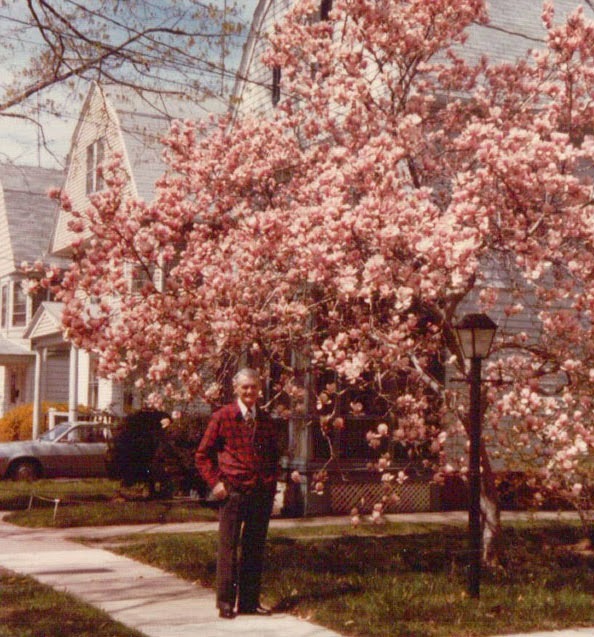 Today would have been my Dad's 98th birthday. I wanted to make something for dinner that reminded me of him. 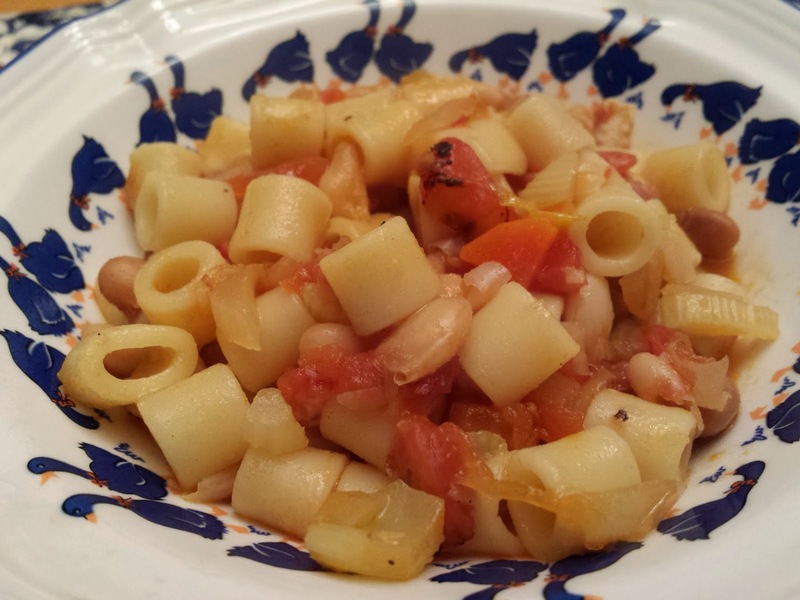 And so we have Pasta e Fagioli. You all remember the "ice cream bean" story. 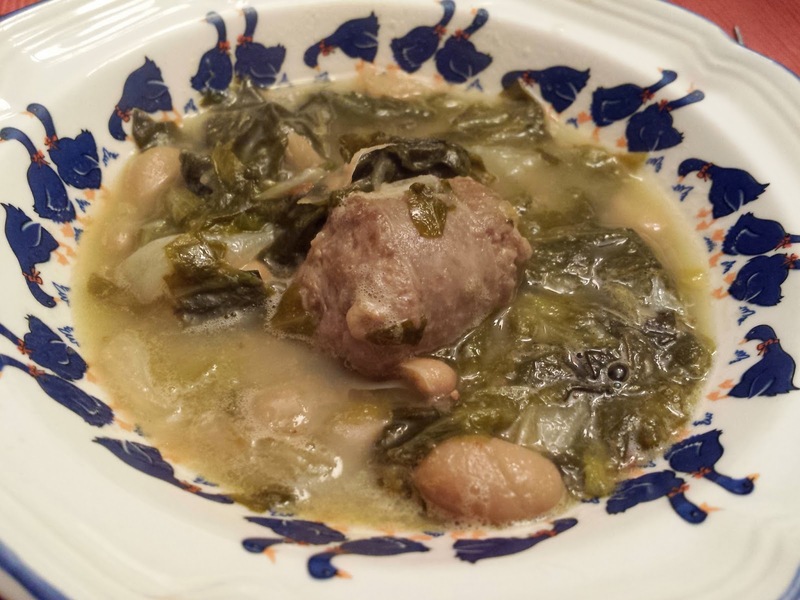 I found this recipe in this month's ITALY magazine newsletter. Perfect timing! Click here for the recipe. 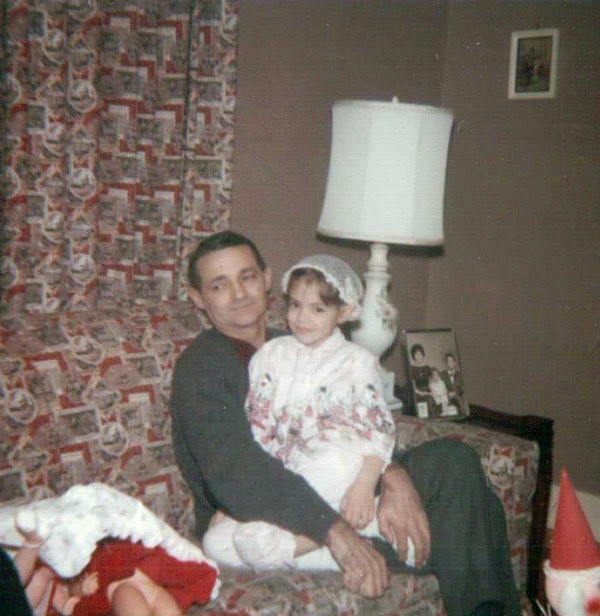 My father had a thing for the Olive Garden's Pasta e Fagioli. He claimed it was the best ever. 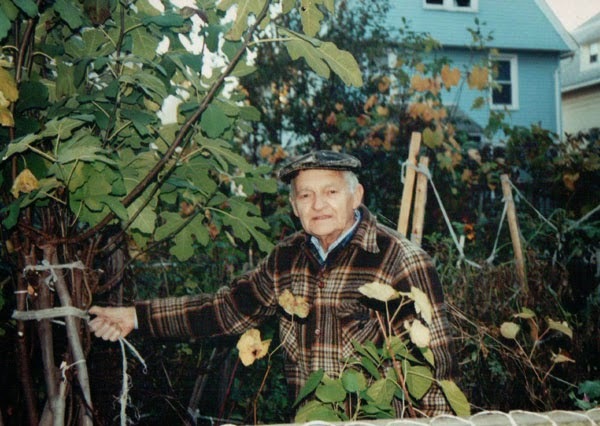 I picked some up to bring to his house once. He loved it. Chris and I were not impressed. At all. Tonight at dinner Chris said that if my father had tasted tonight's dinner, he would have to say this Pasta e Fagioli was the best. You know if you see a meal like this mid week on this blog, meat and homemade noodles, it has to be a special occasion. Well, today is my husband's birthday! 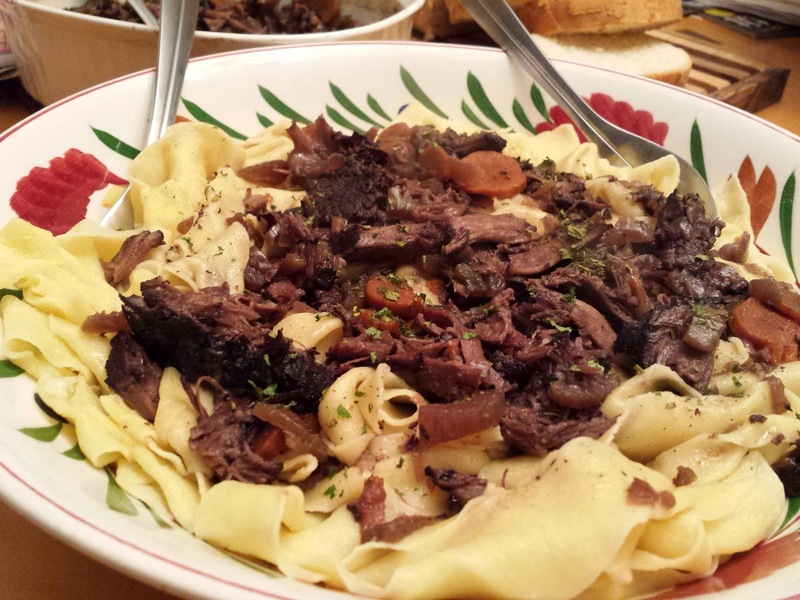 And because of the special day we had Braised Short Ribs over Homemade Papapdelle Noodles. Oh my! Perfect for a cold, really cold day like today. I prepared the meat on Sunday and just had to heat it up tonight. The pasta was made on Saturday and was frozen until it was dropped in the boiling water. Delicious! Happy Birthday Chris! 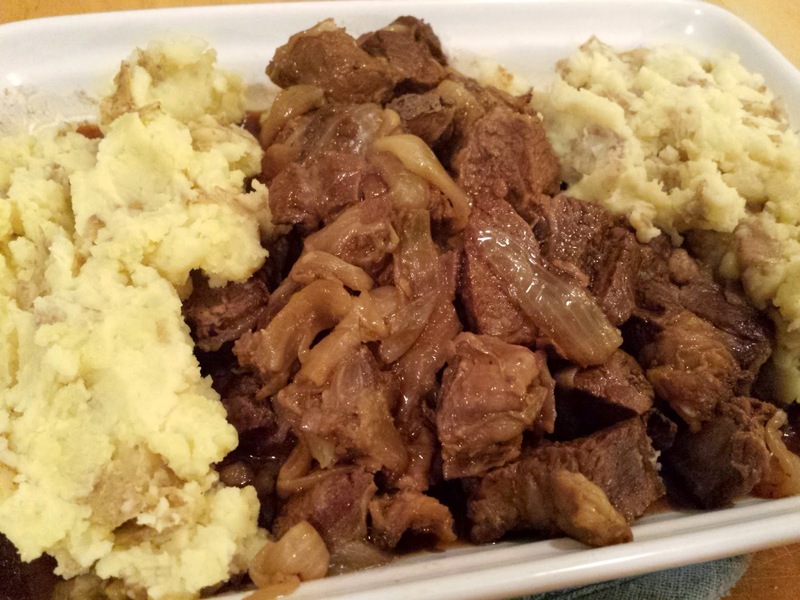 The Short Rib recipe was from Food & Wine, a Tom Colicchio recipe. Click here for the recipe. The pasta was my favorite recipe from Tide and Thyme. 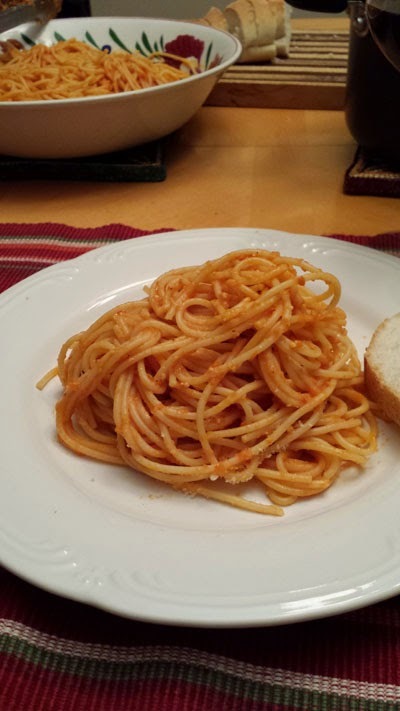 Click here for this perfect pasta recipe! Now what did I get Chris for his birthday? A couple of weeks ago we saw our favorite band, The Smithereens. 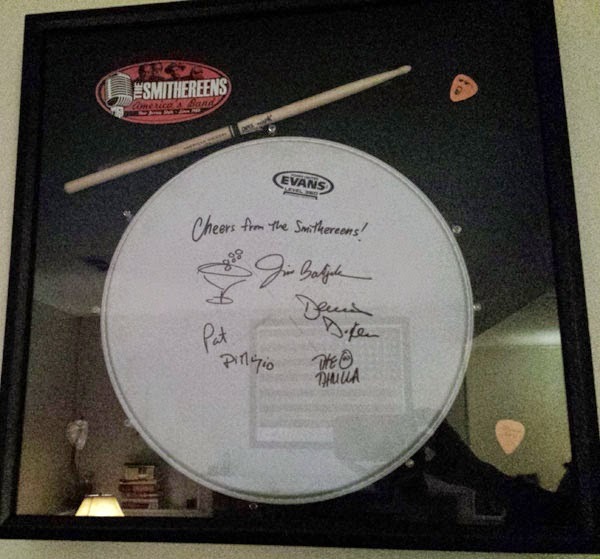 I purchased a drum head that was signed by the band before the show. At the end of the show the drummer, Dennis Diken, hands Chris his drum stick! My brain was already working. A shadowbox! Chris loved it. And a special shout out to Ralph for hanging the shadowbox. And here is a video of one of my favorite songs from the show we were at. Thank you Fredrick Matt for posting the video. Enjoy! Chris said we could have this every night. It is a delicious stew. 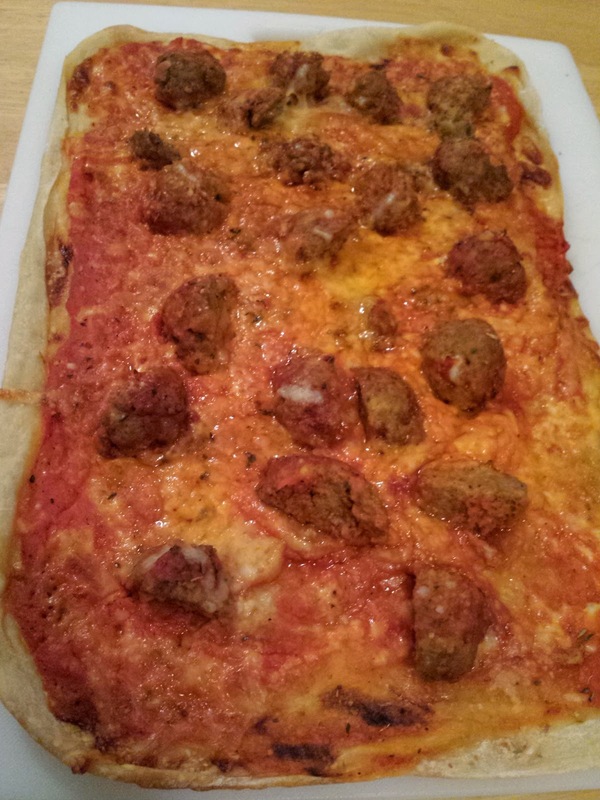 The recipe is from Every Night Italian, written by Guiliano Hazan. Yes, that is Marcella Hazan's son. My mom gave me this cookbook prior to her illness so it holds a special place in my heart. But back to dinner. This is delicious and we ate every drop, even the last bean. 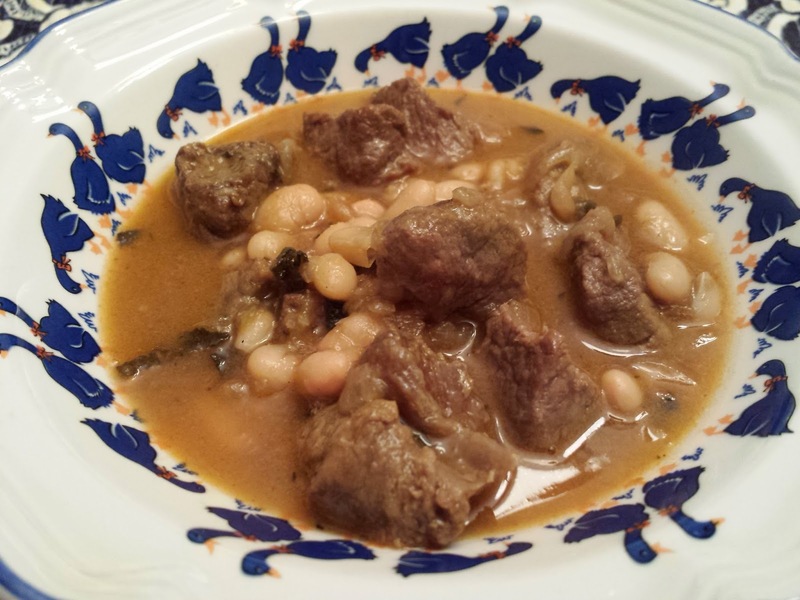 It was a long day so I was happy that I found this link that has the recipe. If for some reason it does not work email me and I will post the recipe. 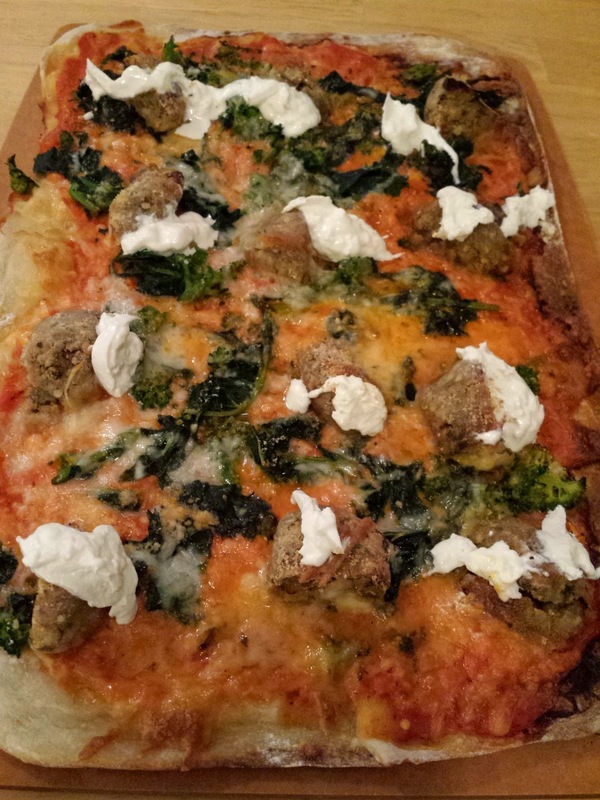 Eggplant and Quinoa Meatballs with Broccoli Rabe and Burrata Cheese. Quess who had which pie! We love this recipe. It is from La Cucina, sadly a site that is no longer online. But fear not I have the recipe. I made mashed potatoes as a side, perfect for the sauce. Delicious! Do you want to try this? If you do click here, you won't be disappointed. For an appetizer I made my favorite dish. 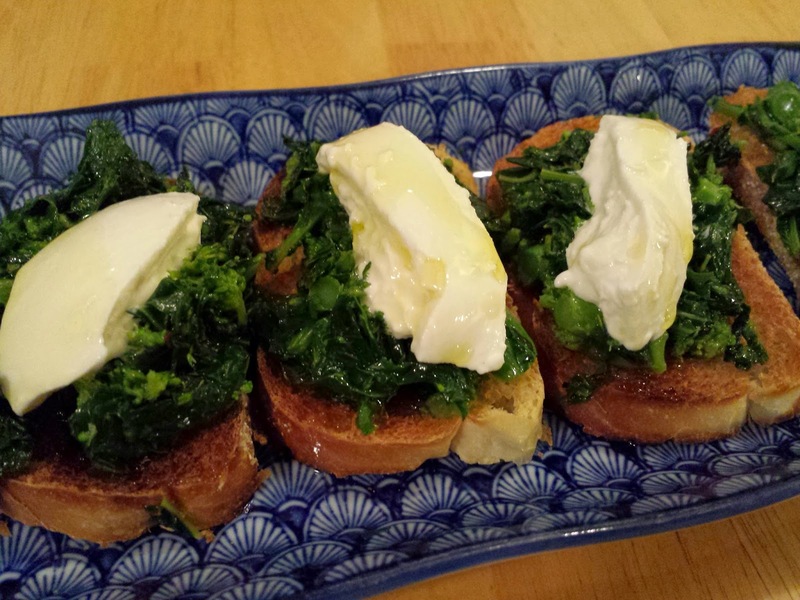 Sauteed Broccoli Rabe on toasted Italian bread with Burrata Cheese. Yum. 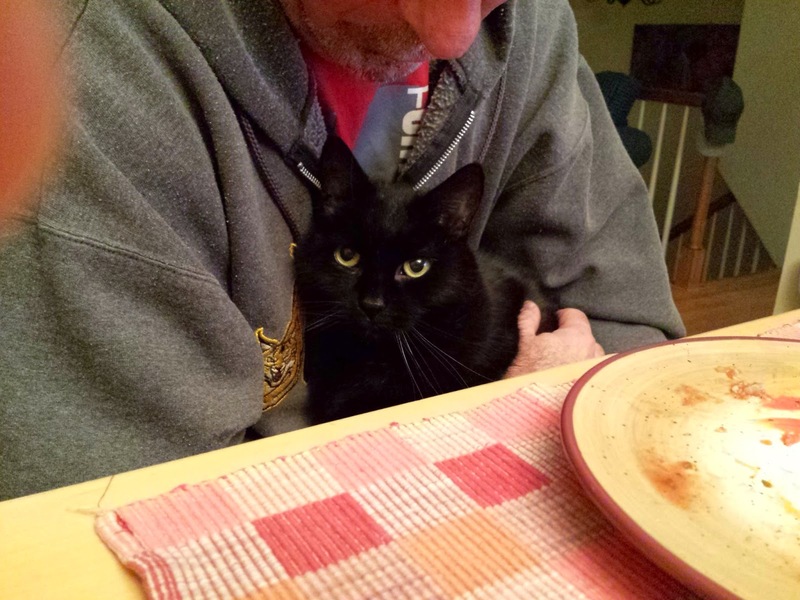 Have We Been Eating Dinner? Yes, I have a food blog. And I usually post every night about what we had for dinner. Well, since we have been back from vacation, I have posted... Once! Let's just say I have a lot going on right now and this blog has had to take a back seat. But we had dinner every night and I have taken some photos. This past week has been food from the freezer. Excuse me while I make the sign of the Cross. 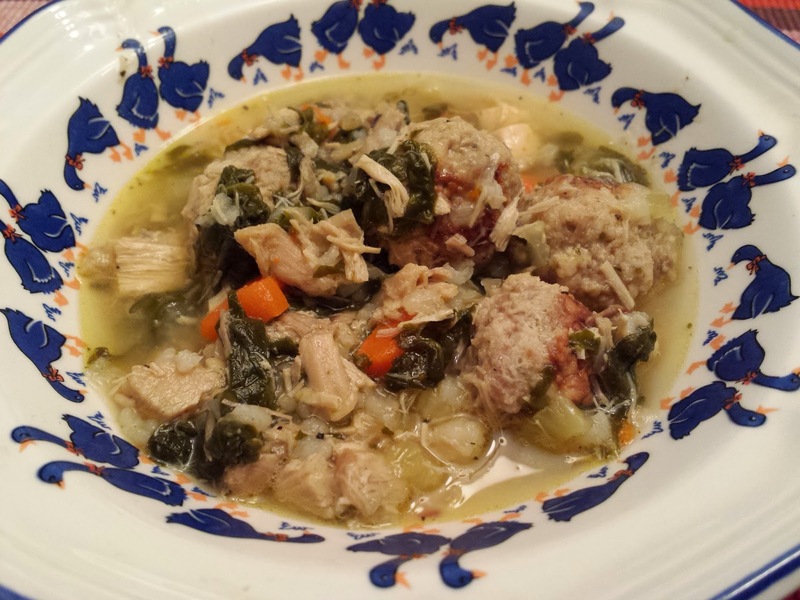 Monday, November 10th we had Italian Wedding Soup. 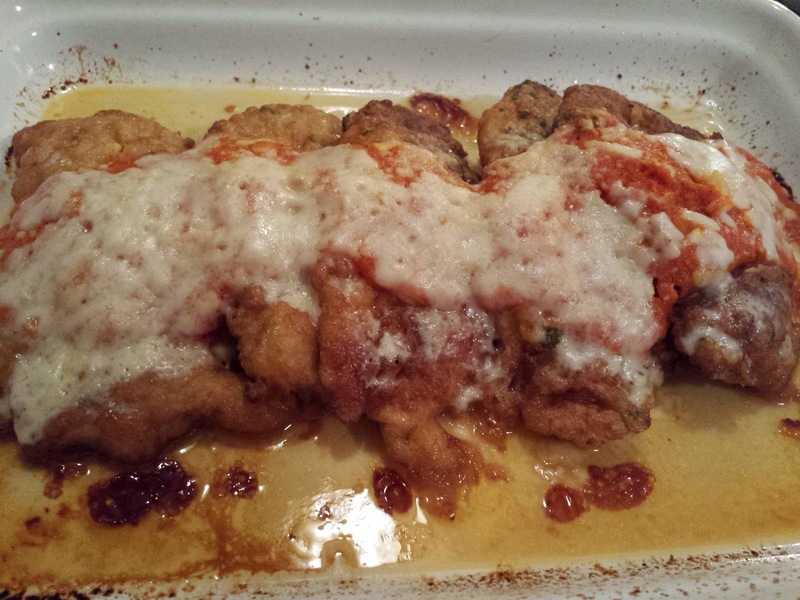 Tuesday, November 11th was Chicken Parmesan. Had those chicken cutlets in the freezer! And Thank You to all the Veterans. 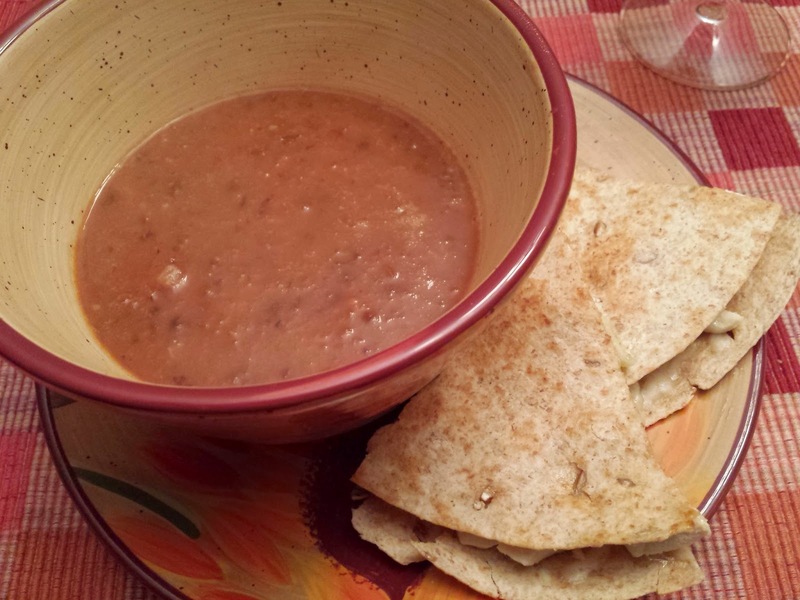 Wednesday was Escarole and Sausage and White Bean Soup and Cheese Quesadillas. Thursday was Pasta with Meat Sauce, sorry no photo! Friday I worked from home and made Black Bean Soup. Yum. I winged the recipe. Sauteed onions, carrots and celery. Added 2 cups of vegetable broth, a 14.5 Oz can of black beans and a can of diced tomatoes. That simmered added some Choluola sauce and oregano. I used the immersion blender and the result was an amazing soup. 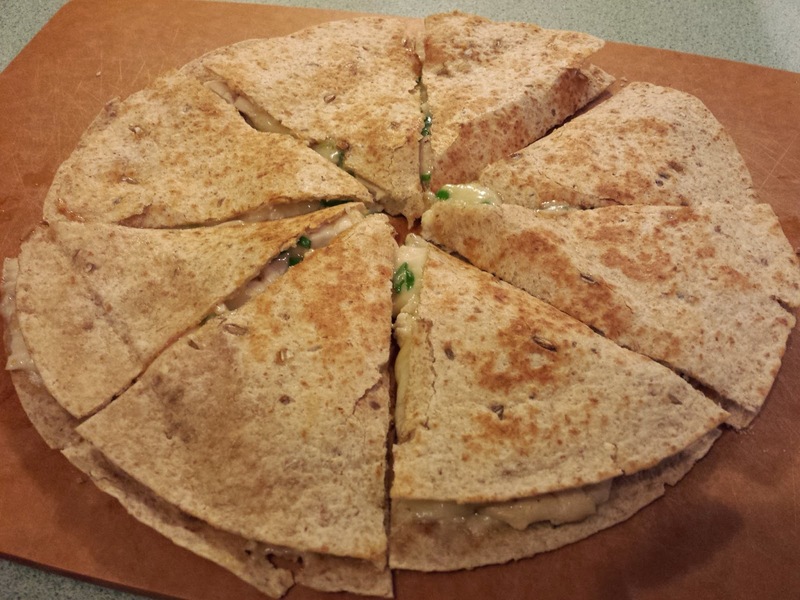 And we had Quesadillas again. This time I sauteed chicken and added that along with scallions and the cheeses, Gouda and cheddar. Of course our first home cooked dinner after our vacation had to be pasta. This dinner came together in 60 minutes. Marcella Hazan's Tomato Sauce with Onion and Butter is the perfect "quick" pasta sauce. The aroma was delicious as was the dinner. Below is the recipe as I make it. My changes are in italics. Put the tomatoes in a saucepan, add the butter, onion, and salt, and cook uncovered at a very slow, but steady simmer for about 45 minutes, or until it is thickened to your liking and the fat floats free from the tomato. Taste and correct for salt. Before tossing with pasta, you may remove the onion (as Hazan recommended) and save for another use, but I opt to leave it in. I blend the tomatoes and onion using an immersion blender. Serve with freshly grated Parmigiano-Reggiano cheese for the table. 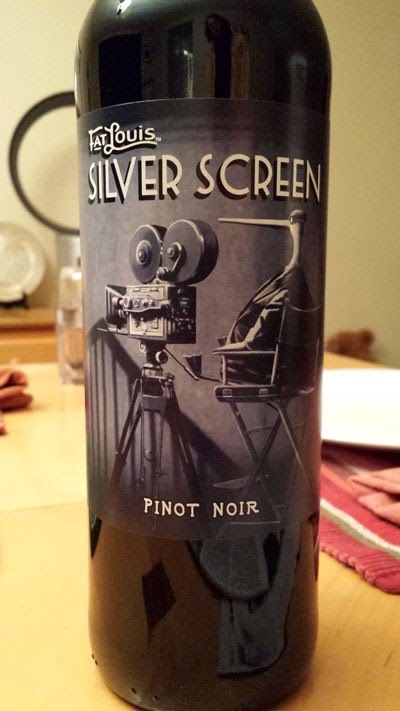 I saw this bottle of wine today and loved the label. Not a bad bottle for $8.99, I follow the Jacques Pepin rule about buying wine.